This West Hollywood Massage spa offers a buyer a great location at a fantastic price, given that the owner has invested nearly $100,000 in it thus far. The business has 3 chairs for foot massage, 3 single massage rooms and 1 double room. The facility has an ADA approved access and ADA shower room, large reception area, parking lot, and the coveted area boasts excellent foot traffic. The location is ideal to add day spa services, acupuncture and more. Location and Facilities: The 1,300 square foot facility leases for $5,200 per month on a lease valid until 2015 with options to be negotiated in the sale. 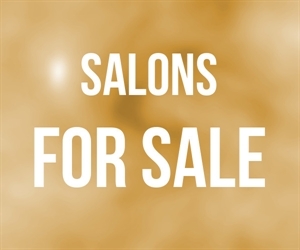 All of the spa s furniture, fixtures, equipment, inventory and goodwill are included in the sale. Market Information and Position: The massage business could greatly benefit from some form of advertising, a website (it does not have one), and although it s new, the Yelp reviews suggest that a new operator may seek to slightly redecorate interior and rooms. While the reviews are fantastic, the business may also tremendously benefit from owners or staffers who are more in touch with the West Hollywood community. Competition: West Hollywood is a competitive market for massage services, however, most of the competition is location driven. As such, this business s location helps it to bring in massage revenue, but a new owner can diversify the operation as they deem appropriate without infringing on space for the massage services.